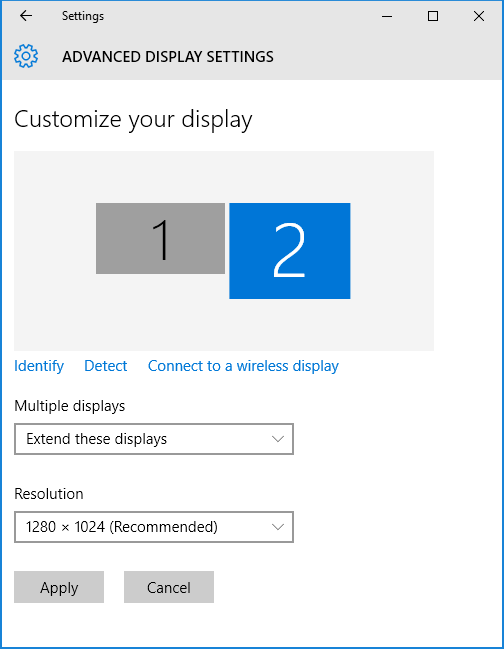 The post shows how to position Wpf window on secondary monitor or show two windows on two monitors. The post contains complete code and we discuss how to address several scenario. there are many topics concerning how to show or manipulate by the secondary monitor in Wpf application. The post doesn't include these links, as it may be easily googled. Solution uses C#6, .Net 4.6.1, Wpf with MVVM pattern, System.Windows.Forms, System.Drawing, NuGet packages Unity and Ikc5.TypeLibrary. Solution contains one Wpf application project. From the Wpf application all screens are considered as one "virtual" screen. 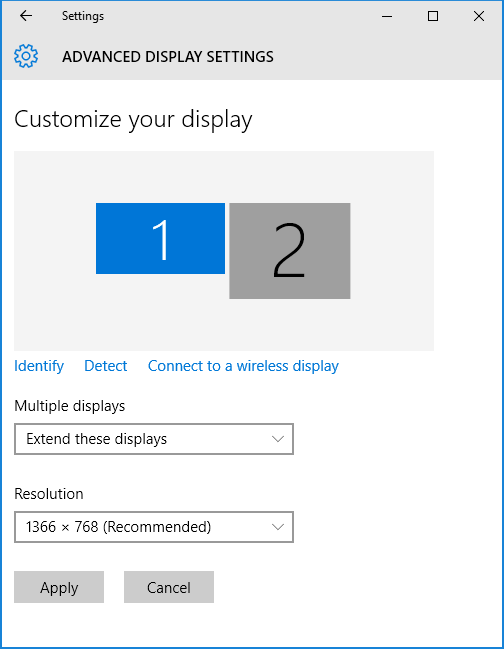 In order to position window it is necessary set window coordinates in "current" screen size. SystemParameters provides physical resolution of the primary screen, but according to Wpf architecture position of elements should not rely on physical dimensions of the display. The main issue is that exact value of "current" screen size depends on various factors. For example, they include text size from Windows' settings, how user connects to computer - by remote access or locally, and so on. Screen class from System.Windows.Forms library provides useful property Screen AllScreens. It allows enumerate all screen and reads their working area. But coordinates of non-primary screen are set according to "current" text size of the primary window. for each screen create window, position at current screen, show and maximize. then window will occupy whole screen except taskbar. /// Width of the view. /// Height of the view.